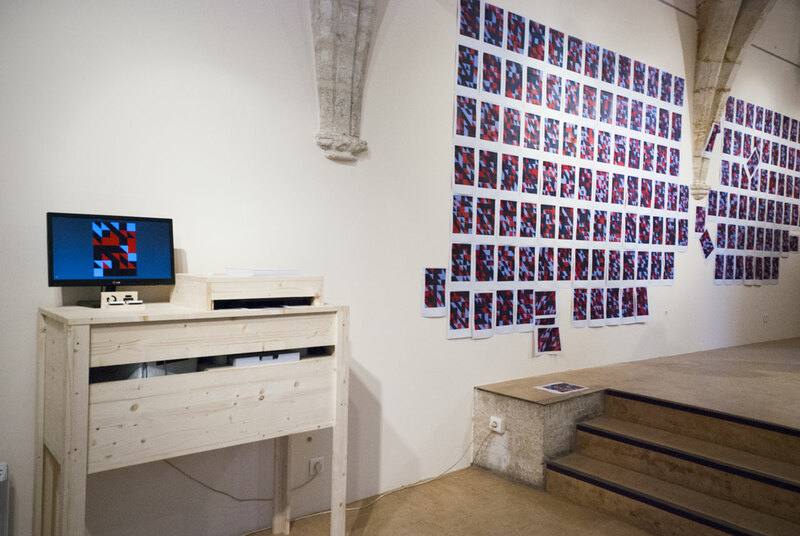 Interactive installation, program, button and printer, variable size, form and support., 2014. This installation highlights artistic production as a moment. 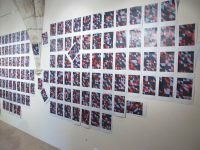 It depict an semi-automated creation process made with random picturiale choices and visitor action. To understand this works, we have to watch this piece, not as a single printed representation but in the whole production and then we can be overcome with randomness, in fact this piece study it. Randomness is an unknown number which is set when visitors decide to create a new trace. 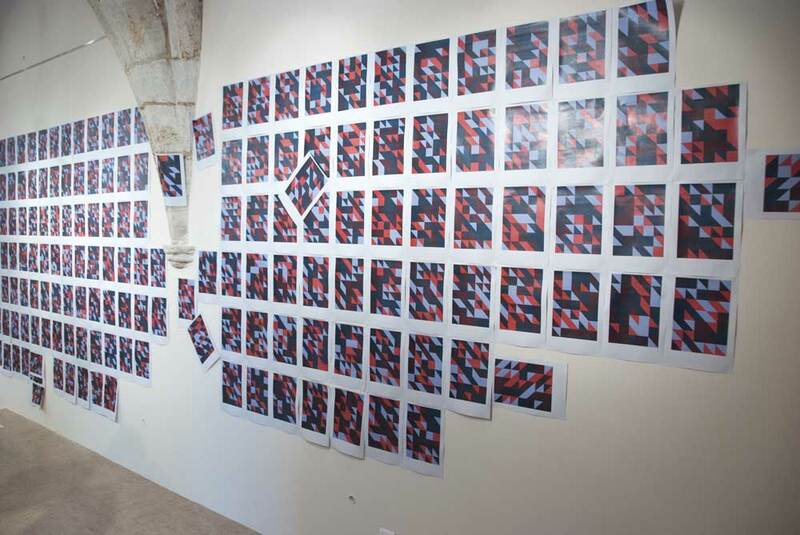 The thinking of this works, based on protocol, come from Generative Art, and produced various pieces as Random() 2012, (Aperto gallery and 59th Salon de Montrouge), Reflection and Reverberation (created during a residency at Espeyran Castel on 2013). With two switches, visitors can join the creative process: the first to create or change a drawing and the second to print it. He can be sponsors (drawings commissioned by him) and the person who hangs the exhibition: once the drawing is printed he have to put it on the wall as he went.